Drew Barrymore stans Kim Kardashian – or at least the “Keeping Up with the Kardashian” star’s new perfume! The “Santa Clarita Diet” actress shared her love for Kim’s new fragrance – and in particular the peach-shaped bottle – in an Instagram video on Thursday. “I’m in my kitchen and I have a new piece of fruit – although, it’s actually Kim Kardashian’s Kimoji perfume,” Drew said, showing off the gift. WATCH: How Celebs Celebrated The Fourth Of July: Kim Kardashian, Gigi Hadid & More! “I have to say, this is really cool packaging,” Drew added. And, she even sprayed it on. Drew isn’t the only celeb loving Kim’s new fragrance. 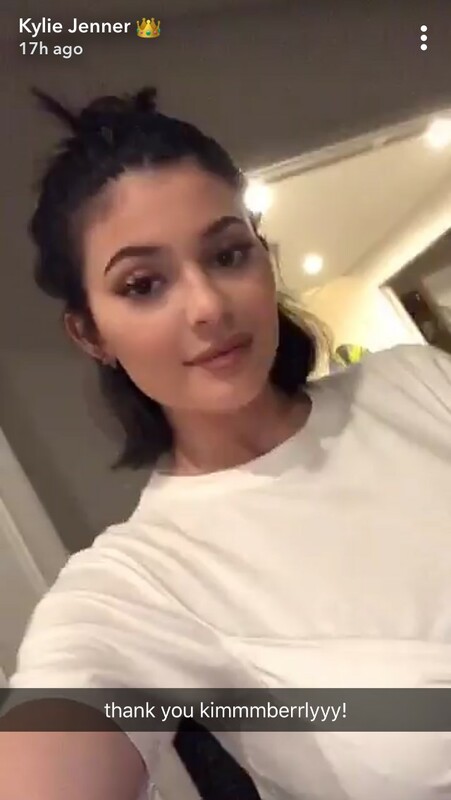 “This is so cute,” Kim’s little sister, Kylie Jenner said in a Snapchat video on Wednesday night, before spraying some on. Drew also added in her video that she’ll see Kim K. at BeautyCon this weekend where she’ll also be on tap promoting her own beauty line, Flower Beauty. Looks like this is a match made in beauty heaven.